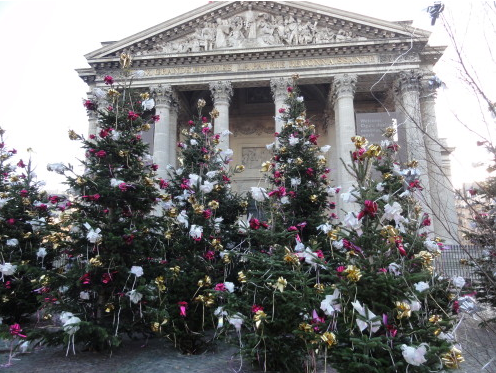 Christmas trees in from of the Pantheon, famous secular temple in Paris’s Latin Quarter. Liberté and Egalité – freedom and equality – that’s the credo in France and, yes, it’s true even when it comes to Christmas trees. Everyone has one here. 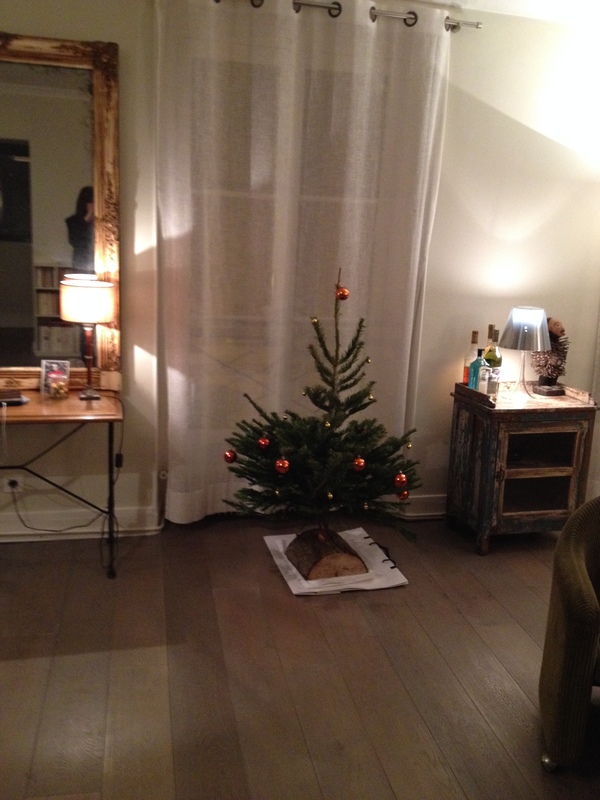 The most beautifully decorated Christmas tree I ever saw in Paris was in the home of friends who invited us over to see the pictures from the weekend before…of their son’s bar mitzvah. France offers equal opportunity access to all the joys of Christmas—exchanging gifts, banqueting on Christmas Eve—no matter what your religion. I truly think this is wonderful (please see the photo below), but I do also think it’s totally paradoxical. There are Christmas trees everywhere in France. In stores, in public spaces like train stations and city halls, on church steps—which makes sense, except that here there are also half a dozen enormous, sparkling Christmas trees in front of the Pantheon, France’s famous temple of secular greatness. It’s a Republican cathedral of secularity…with Christmas trees. France has secularism inscribed in its constitution and its identity. It is a deeply cherished and staunchly defended value. 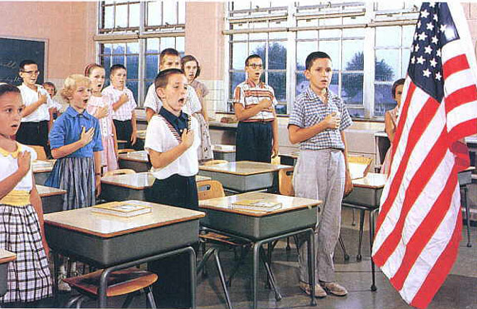 The French get freaked out when they see the word “God” on American dollar bills or when you try to explain the American public school ritual of the pledge of allegiance: “…one nation, under God.” They find all this deeply representative of the United States’ excess of religion, a country where everyone seems to believe in God and there’s a dangerous lack of boundaries between church and state. They can even get a little very self-righteous about this. And yet it’s in the country where God is always creeping into public life that we seem to have devised a much clearer policy concerning religious and secular symbols—or at least concerning the Christmas tree. And the Christmas tree is not secular. For the most part in the United States, if you’re Jewish, even just a little bit, you don’t really ever consider getting a Christmas tree. Quite simply because you’re not…entitled. You’re not Christian, hence you don’t celebrate Christmas, the holiday making the birth of Jesus Christ. Therefore no Christmas tree. Strangely, in France, in this deeply secular culture that forbids religious or ethnic surveys, that forbids all religious symbols in public places—strangely they seem to be fine with being all flou on the Christmas tree thing. As though it had nothing to do with Christ. “Well Jesus was Jewish, right?” offered my French mother-in-law when I asked her about this paradox. She seemed to think that wrapped things up nicely. Nobody here really seems very bothered at all by the paradox. In a schoolteachers’ discussion forum, when the occasional renegade teacher wonders about the presence of Christmas trees and Christmas lunches in the intensely secular French school system, dozens of responses scoff at this literalist nit-picking explaining that the Christmas tree is originally a pagan custom, that of the tree as the symbol of life—because it’s evergreen—and joy and prosperity, and that anyway Christmas has become a family holiday disconnected from any religious significance. 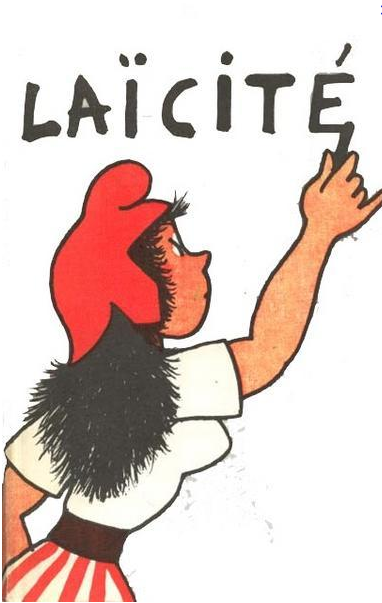 “Laïcité” means secularism and is an important part of French identity. So basically, if you follow that logic, Christmas is like the French Thanksgiving. That probably also has something to do with the fact that, despite France’s roughly 10% of Muslims and half a million Jews—informal estimations since religion-based censuses are not allowed—the great majority of the country is Catholic. The majority’s symbols become everybody’s symbols. Undoubtedly those nit-picking literalists who sense something of a double standard may see it a bit like that. But like anybody cares around here. Especially not the Jews exchanging gifts over oysters and foie gras. Vive la République. Vive Noël! 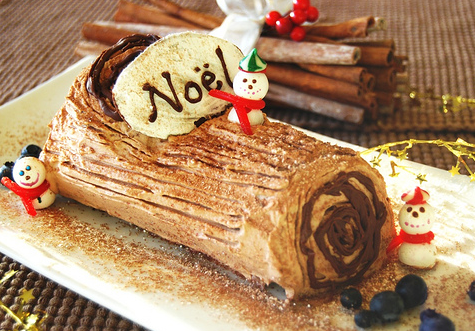 Having my yule log and eating it too. Is the Rumor About French Youth Leaving France Really True? This is the jacket cover of Corinne Maier’s 2010 book giving 40 good reasons to leave France. The worried question has been in headlines for months now. Are France’s young people being forced to leave? Every week there’s another talk show, another investigative report, another survey showing that French 20-somethings are leaving France and going abroad to work in higher numbers than ever before. And instead of cheering the entrepreneurialism of their ambitious youth, the refrain echoing in the media is, well, much more typically French: Why isn’t France good enough to keep its youth? The fact that it’s a question at all is part of the problem in France. So young people in France are interested in seeing what the rest of the world has to offer? They think that there might be interesting jobs, exciting experiences, money to be made, a better immediate future elsewhere, outside of France…So what? Why so much shameful soul-searching? The shame and the handwringing—oh, the opprobrium of an expatriated youth!—is rooted in another tacit belief about France, one that goes deep into the identity of this country which has always been a land of immigration and a not emigration (unlike Ireland, Italy, or Spain, there has never been a French diaspora). The belief is that there is no good reason that you should you want to leave France. The French seem to be experiencing this trend of youth expatriation as a kind of slap in the face, a reproach to its image of itself as an irresistible land of opportunity capable of nurturing a successful elite. Today, there are over 150,000 18 to 25-year-olds living abroad. The French could view it as a salutary leap onto the globalization train, with its best and its brightest going out into the increasingly borderless global economy. Instead they’re wondering why the best and the brightest just don’t want to stick around anymore. Somewhere that is not France is where 150,000 young French people have immigrated. But the question of what’s wrong with France isn’t just a question of pride. The reality, aside from this French crisis of identity—What? Pastures are greener elsewhere?—is that that there are very real reasons that the bright young things of France want to leave, and it’s not just to get a flavour of the great wide world. And France should be worried about these reasons. First, there’s the level of youth unemployment in France, with 25% of the French under the age of 25 who are jobless. That means that fully one quarter of France’s youth can’t get a first job. But the European average for youth unemployment is actually not much lower, at 23,3%. So, arguably, that problem is not a uniquely French one. (In Spain, it’s 50%, in Italy, 40%). The uniquely French aspect of its youth’s expatriation is that a disproportionately large number of those leaving are highly-educated graduates: 12% have a PhD (when only 1% of all French youths have a PhD), 41% have a Master’s degree, and over a third have at least one to three years of higher education. So it’s not so much that 25% who are registered as unemployed who are leaving—that would make sense, and France might have an easier time forgiving itself and blaming the economic crisis. Instead, the expatriates are a much smaller percentage of its elite, freshly graduated and, theoretically, highly recruitable. Except they are choosing to start out in life elsewhere. In part it’s because they want to seize the wonderful opportunity to broaden their horizons and see the world—no offense to France!—and they can, precisely because they have prestigious degrees, access to the know-how, and the professional networks to get a job abroad. 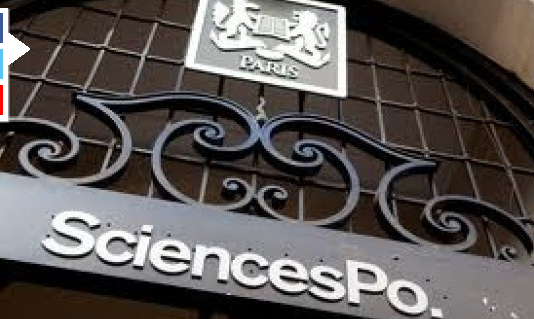 Sciences Po, one of France’s elite universities, whose students are probably choosing to go abroad. A few weeks ago, I moderated a debate at the university of Sciences Po—one of the prestigious French institutions whose graduates are going abroad—whose topic was, “Is France a country one must leave at all costs?” The panellists—who included Helene Conway-Mouret, the junior minister in charge of French nationals abroad—all agreed that was preposterous. They agreed that certainly youths are leaving, but mainly by choice, and that it is a good thing. But there’s also a much more disgruntled portion of this expatriating population. And undoubtedly it’s their story that’s keeping the question going in the media. These young expatriates say they don’t feel they have any choice but to leave, claiming that only the graduates of France’s most elite traditional institutions are getting good jobs. That opportunities offered are few, poorly paid, below the level of responsibility that their educational background might justifiably lead them to expect. They describe a professional world that is, for the most part, conservative and risk-averse, a culture that expects them to work their way quietly up through low-paying junior jobs for years before, by virtue finally of seniority acquired, getting a chance at something more ambitious. What’s pushing these kids to leave is simply the impression that it’s not going to happen for them in France, because France isn’t a happening place. There is an ambient sense of a lack of dynamism, of creative energy, of risk-taking and giving the improbable-but-promising a chance. It’s this culture that they’re not finding in France and that they’re seeking elsewhere. 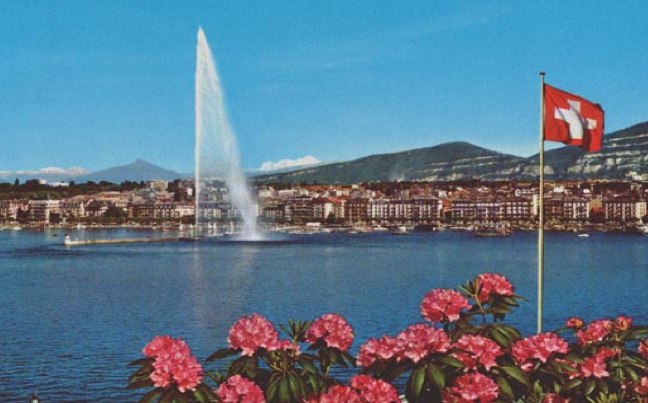 The preferred destinations are Switzerland, the United Kingdom and Germany—not really destinations where you go in search of exoticism. They are places that, professionally, offer a sense of opportunity and sheer possibility that this self-conscious and handwringing nation had better start figuring out how to create. 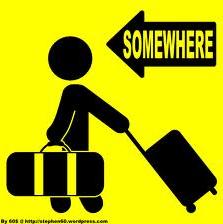 Right now, a majority of the French expatriates polled plan on coming back. But coming back to what? That’s what France should be worrying about. 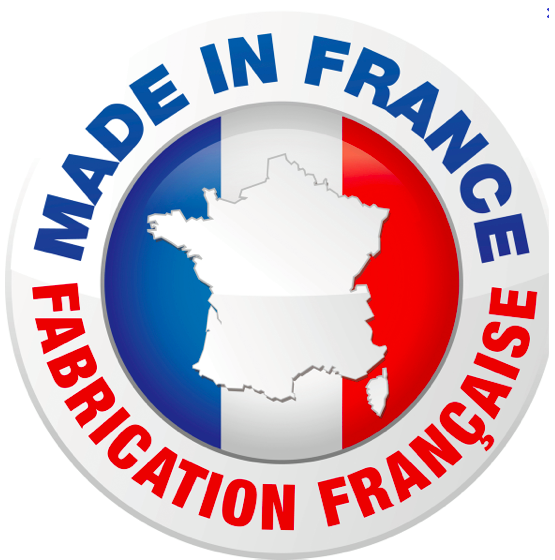 I Have Just Launched a New Platform for News About France: Check It Out and Like It! News about France in fresh, snappy bites you’ll want to share. 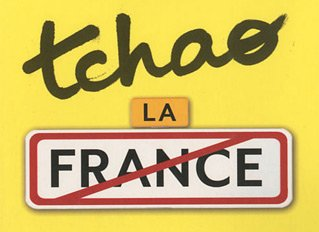 For those of you who follow this blog or read it occasionally, you’re probably interested in France, or interested in figuring out what makes France and the French so…French. That’s what I try to figure out every week in the features I post here, where I try to go a little bit further than the headlines. 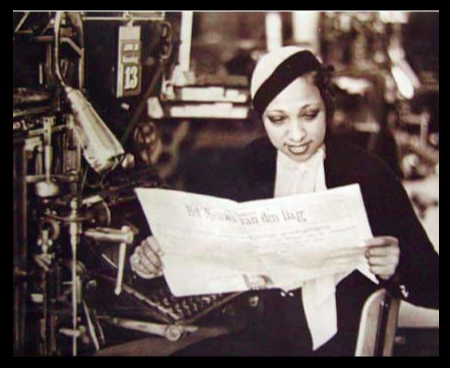 And now L’Amie américaine will also be bringing you those headlines. I have just launched a newsfeed about France on Facebook so you can truly be au courant of what’s happening in France. Easily, quickly, seamlessly integrated into your Facebook feed. It’s also called L’Amie américaine and it’s a platform for news about all things French. It’s meant to be informative and fresh, quick and snappy. It’s complementary to this blog, which publishes a longer weekly piece. Follow L’Amie américaine’s Facebook feed to get a different kind of French fix–from the economy to gastronomy, from politics to lifestyle, from hard news to the Twitter buzz–in short bursts of news. The brief: it’s a stream of news that will give you a sense of knowing–and understanding–everything that’s trending in France today. So please click here and “Like” it to follow! Post your comments to the feed and let me know what you think.